Some say loop lighting is a modified version of Paramount lighting, but I believe it is a separate scheme all together. It is ideal for models with oval-shaped faces, but it is also a relatively permissive light pattern. The defining thing about loop lighting is that the shadow of the nose has to form a small loop on the cheek. This loop can be long enough to reach the corner of the mouth. The key light is positioned on the side of the model so that the loop can be created using the shadow on the side of the face. The fill light is positioned opposite to the key light and closer to the virtual line between camera and subject. The one thing to remember about the fill light is that it should not cast a shadow by itself. This lighting scheme has a sort of one light character and you need to maintain that. Ironically, it has to be done with two lights. With other lighting patterns, you can tell if the setup is correct by moving around and changing perspectives. With loop lighting, you can only tell from behind the camera. Use the viewfinder or the LCD to see if the fill light has a shadow of its own and if it does, reposition it or turn it down a notch. The role of the hair light is pretty much the same as with Paramount lighting. It is there to help make the subject more flattering. Don’t worry if your subject doesn’t have any hair. 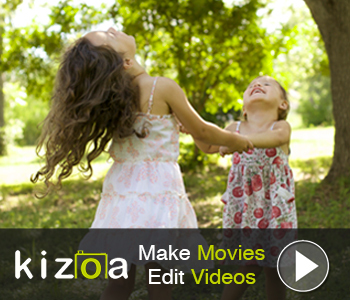 It will still help create a sense of space and volume in the photograph. 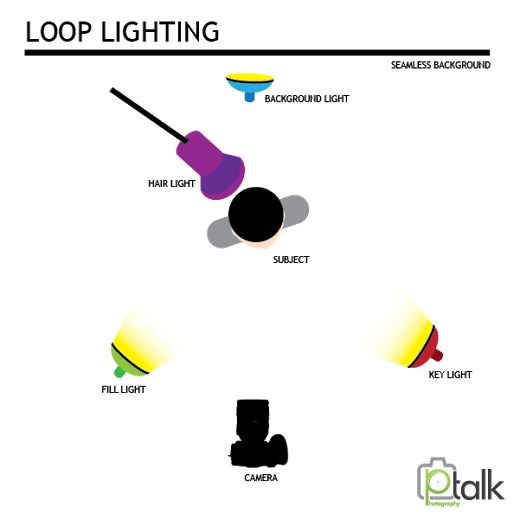 Loop lighting is one of the most fail proof patterns and that’s why you will see it being used everywhere you look, from mall photographers to high end fashion shoots. The only problem with it is that it’s a bit boring since it is used so often. Use loop lighting when you haven’t got the time to experiment or setup advanced schemes or when you are insecure about trying something in front of the client. If you do have the time, don’t settle for the standard “recipe”. Add some color gels, one or two extra flashes and constantly change their positions, even if it is only by a few inches. One other thing before you go shooting, remember that shadows are just as important as light. They shape it, so don’t eliminate them completely unless the situation calls for it.